Product prices and availability are accurate as of 2019-04-11 09:19:28 EDT and are subject to change. Any price and availability information displayed on http://www.amazon.com/ at the time of purchase will apply to the purchase of this product. 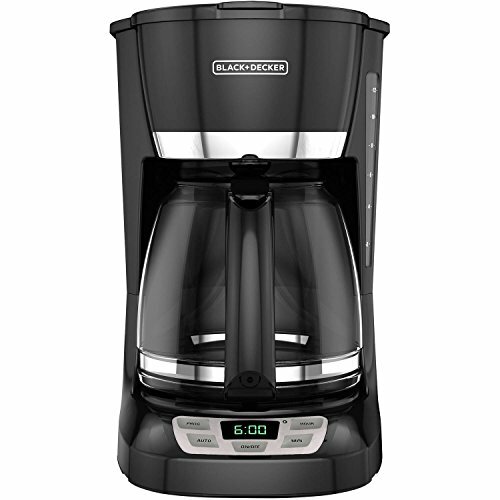 Make a fresh pot of your favorite brew anytime with the Black & Decker 12-Cup Programmable Coffee Maker. Large QuickTouch buttons on the front are clearly marked and easy to press. 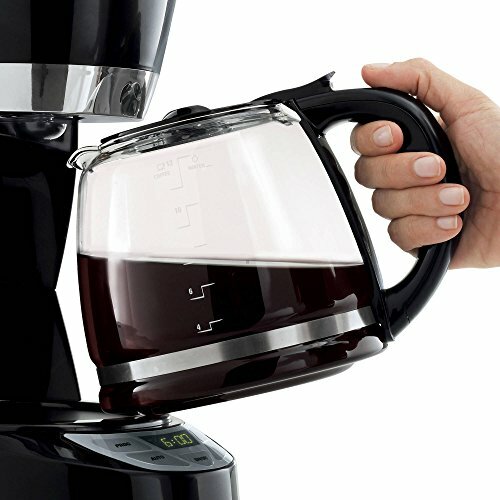 The sneak-a-cup feature stops the flow of java while you pour your first cup of the day. Pull the Duralife glass carafe off the plate using the easy-grip handle. A 24-hour auto brew option allows you to set a time for the Black & Decker coffee maker to start operation before you awaken so the aroma of Colombian, French Roast or a special flavor fills the air. The full pot stays ready for an hour on the Keep Hot carafe plate. Use basket-style paper filters to hold the grounds. 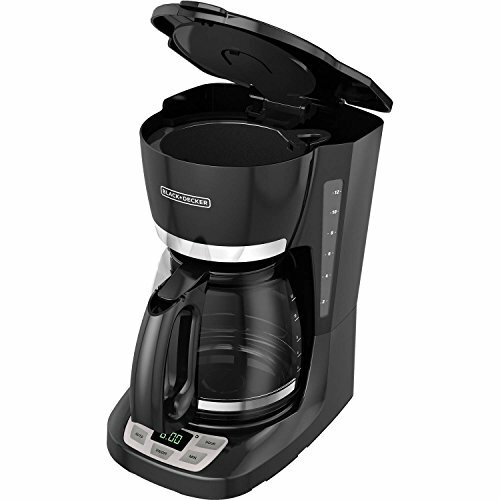 Simply remove the basket from the 12-cup coffee maker and run it through your dishwasher to clean it.